Fans have long been clamoring for a sequel to Bully, Rockstar’s satirical take on education and adolescence. Rumours have been swirling regarding the game’s existence for some time, but nothing concrete has been announced. Now, a series of casting calls may hint that Rockstar will be starting work soon. Casting agency Jessica Jefferies has posted a number of calls to Twitter: “we are currently casting Motion Capture Performers for an exciting new video game with a leading games developer,” they read. Performances would take place at Pinewood Studios UK, a famed movie studio that’s been around for over 80 years. The agency tweeted out seven calls in total. 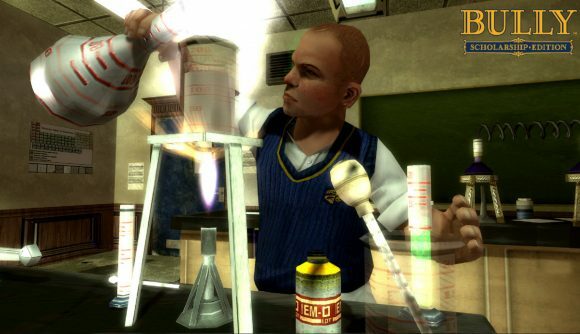 That they’re for Bully 2 is not explicitly confirmed, but the calls are for scholarly characters. “Jakob,” reads one, is a “college professor. Scholarly and stocky, but not fat. Slightly disheveled, but witty, clever, and sarcastic.” Another call describes Amelia, a “sophisticated, mature college student.” Several of the others are for roughly college-aged actors. You can check a couple of them out below. CASTING FOR PERFORMANCE CAPTURE SHOOT. Unannounced video game title filming at Pinewood Studios. Jakob / male / 43 years old / 5’8” / any ethnicity. Amelia / female / 49 years old / 5’4” / any ethnicity. The original source of the news is Rockstar Intel, who add that “former Rockstar Insider Yan2295” says Bully 2 will be “the next title from Rockstar Games after the release of Red Dead Redemption 2.” Note that this is not a confirmation that Bully 2 is in active development yet, as an earlier version of this article suggested. Rumours about a Bully 2 have been making the rounds for a while now, but Rockstar has been steadfast in its silence. Right now, it’s concentrated on the release of Red Dead Redemption 2 at the end of this month.